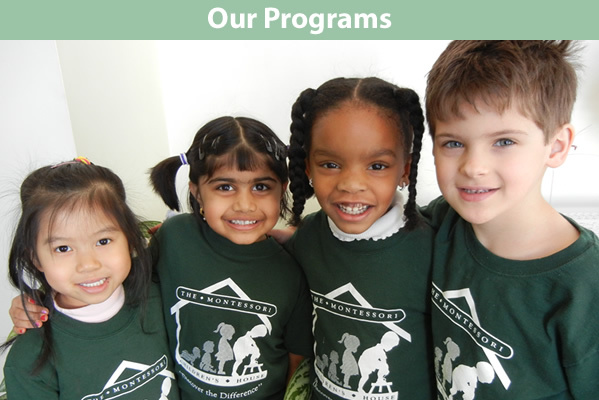 Montessori Children’s House offers a variety of academic programs for families with children toddler age through Kindergarten. The Montessori approach allows children to learn naturally through their experiences in a specially-prepared environment, centered around the five curriculum areas of Practical Life, Sensorial, Language, Math and Culture. Other activities available to our children include music and art, introduction to French, gym classes, yoga and educational field trips.